Collect the original Mighty Morphin Power Rangers with these 6-inch tall Legacy figures, which feature multiple points of articulation and collectible Legacy packaging-based on the original Mighty Morphin' figures released by Bandai America in 1993! 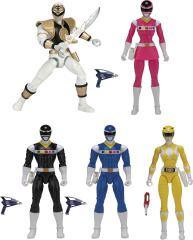 Each figure includes one battle gear item. Figures include MMPR Yellow Ranger, MMPR White Ranger, Space Black Ranger, Space Blue Ranger, and Space Pink Ranger. 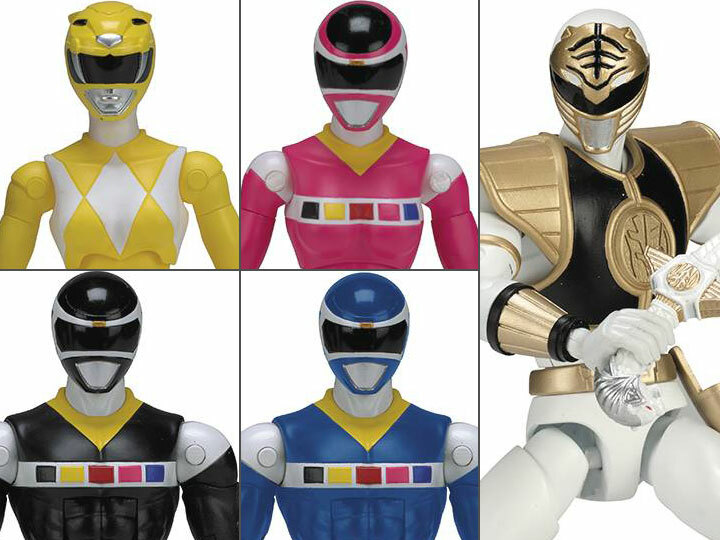 Build the Astro Megazord by collecting the pieces with the Pink, Red, Black, Yellow and Blue Space Rangers (sold separately). Build the Dino Megazord by collecting the pieces with the Pink, Red, Black, Yellow, and Blue Mighty Morphin Power Rangers (sold separately).